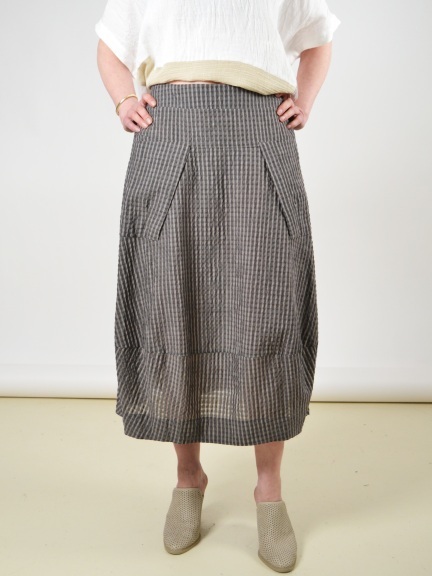 Midi length lantern skirt with functional, fun details. Bellows patch pocket is artfully placed at the front hip. Style line detail emphasizes the lantern silhouette. Textured stripe fabric in tonal grays. 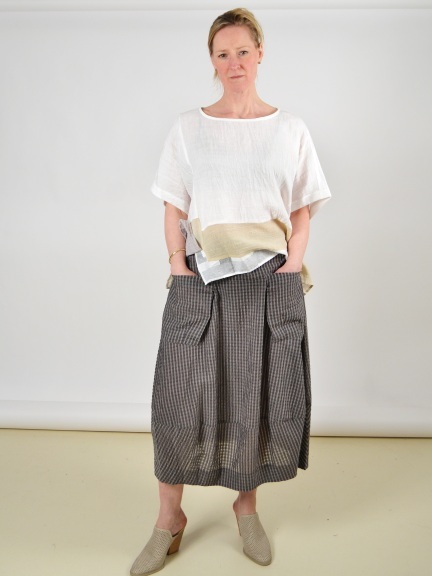 Pull on styling, with flat front and elastic back waist. Made in USA.